Five groups of Canadians connected to victims of the Ethiopian Airlines crash have now arrived in Addis Ababa, a senior Canadian government official told CBC News on Wednesday. The official said the process to identify the remains is "at an early stage" and is "extremely complicated," and it could take weeks. Families hoping to return home next week to repatriate their loved ones may be disappointed. All 157 people on board Ethiopian Airlines Flight 302, which departed Sunday morning from Addis Ababa to Nairobi, Kenya, were killed after the plane ran into serious trouble only six minutes after take off. The flight roster on the Boeing 737 Max 8 jet was made up of people from more than 30 different countries, including 18 Canadians. The official said consular staff are providing support on the ground and that Canada is ready to send more help if it is asked. "It is very important to bring family members to the grave in Israel," said Biton of his search through mounds of debris and dirt at the site which was only cordoned off early Tuesday morning. "We came here and said some prayers." Like Biton, Ilhan Matzliah also lost a brother here. They're both working with an Israeli volunteer search and rescue group called ZAKA who were sent to help identify the bodies. "We need to find identities, the DNA, so that we can bury [them]," Bilton said. "Otherwise, the person will stay missing." 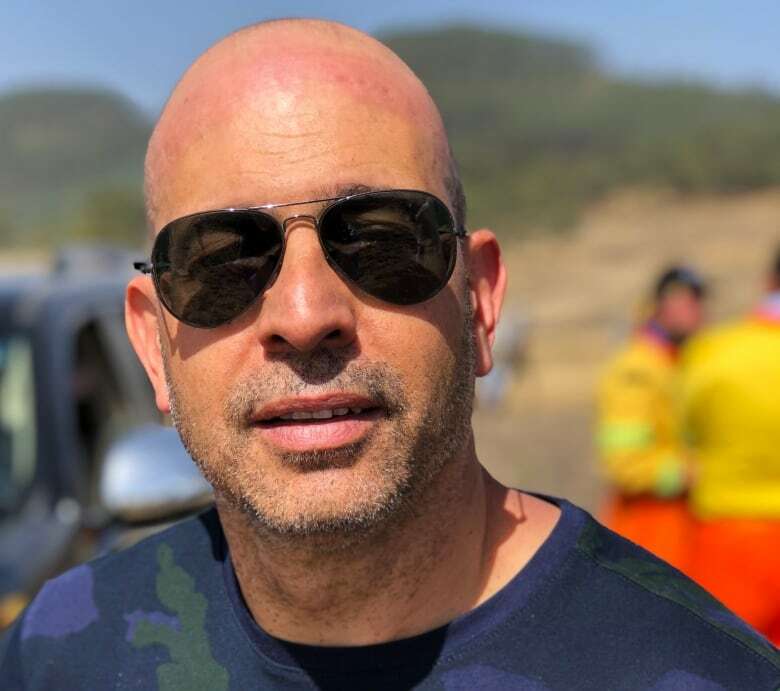 Biton and Matzliah wrote to the CEO of Ethiopian Airlines asking that the Israeli search and rescue team be given access to the hangar where debris that may contain the human remains are stored. For now, he has been given his brother's wallet, which was found on the site, while he waits and hopes for more. "Losing a brother and mother in the same day and not having their bodies to bury is very painful," he told Reuters from the Kenyan capital, Nairobi, where the plane had been due to land. "We are Muslim and have to bury our deceased immediately." At the scene of the recovery effort outside of the Ethiopian capital, hundreds of local people from surrounding farming communities watched as teams from a host of agencies and countries pored over the site, which was cordoned off with yellow tape marked "crime scene." Dozens of rescuers and investigators walked across dry soil in straight lines searching for body parts as large excavators dug into the earth. On Tuesday, CBC News saw groups at the site from: Boeing headquarters in the U.S., the Ethiopian Red Cross, Ethiopian Police, Ethiopian Airlines, a team from the U.S. Federal Aviation Administration, the U.S. National Transportation Safety Board and a number of other small groups. "What I am now demanding is that I get the body of my child," Legesse said. "Whatever happened has happened. I now need to lay her to rest. I came here to see where my daughter lost her life and to make peace." "It is very sad because he had a lot of things left to do," said Wu Ping of his workmate and friend, as he fought back tears. "But he stopped right here and he will now stay here forever."